Even 9/11 Truthers are adding their voice among the growing and diverse list of grievances held by Occupy Wall Street protesters. Now we can add investigating the possible role of the government in the collapse of the buildings during the 9/11 attacks to all of the demands that the Occupy Crowd is making. So far the list of grievances includes ending all wars, stopping the increasing consolidation of wealth and power by the wealthy, and ending climate change. 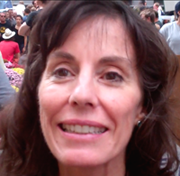 Partial Transcript: My name is Kathleen Rosenblatt, and I'm working with veterans to help with stress release, I'm an acupuncturist, and so I've worked to help stress, but I've also cofounded 9/11 Truth LA and have been working with Senator Mike Gravel to help stop the draft…and Pentagon papers into the Congressional record years and years ago, and he's, for 25 years, trying to get some direct democracy in this country by promoting ballot initiative idea, and right now, he's trying to get a first real investigation of September 11…because it has never really been investigated, and there's so much scientific evidence the buildings did not come down as we were told. Buildings don't come down 10 floors per second. That's preposterous. It takes a half a second just to drop your keys from your waist. So he's got ballot initiatives certified in the state of Maine and now he's going to work on Oregon, California, and we just really want to get justice because so many of these wars are in the name of 9/11, and if it really didn't happen the way they said it was means that millions of lives have been lost. I lived in Texas for awhile and I really love the Texan people, and I just feel that they really need to know more of what it really going on. You know that it's not the Democrats or the Republicans, that's really just a mirage that there's these two parties. It's just a big oligarchy that really controls money, and that's what we need to get at. The website I recommend the strongest is AE911Truth, which stands for Architects and Engineers, and that's where you'll get 1600 architects and engineers who have signed on to say that the official story cannot be true because it defies the laws of gravity, and when you realize that those buildings were leased out for the first time in 27 years suddenly just before 9/11 and that the man that got them made $4 billion, $4 billion, on the insurance and all those things, and the security company that governed and took care of the towers in Logan Airport, Bush's brother and his cousin were involved in those companies, so they had one elevator out of commission at all times. They could get up there and insert those incendiaries and explosives to bring them down in 10 seconds.